At all times whacked but reasonable. 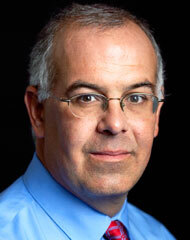 I have always found David Brooks to be a pleasant man. He's always reminded me of priests from my younger days, like a benevolent monsignor, Father Brooks, drifting through the halls of All Souls School, silently mouthing his daily prayers and pausing to pat the tops of our heads with a crooned "How are you all doing, my children?" In his declining years he'd be doing much the same thing, only on Sundays his parishioners would have to suffer through the same sermon praising Vatican II, though it had been more than thirty years since the epochal ecumenical council ended. To Father Brooks it seemed like only yesterday. Sorry, Father, the beloved Pope John XXIII died in 1963. More importantly, he was born in 1881. Time to move on, Father. Folk masses are fine, but for pity's sake, Father. Brooks, of course, is Jewish. Likely it's my own myopic view that causes me to see him as more Jesuit than anything else. I attended a Jesuit university and have ever since identified Jesuits with all things pompous and outmoded, however framed as intellectual and philosophic. As a boy growing up in the Village, Brooks went to Episcopal-affiliated Grace Church School, so maybe that's why he comes off so squishy. Oh, and he was born in Canada. Still, pompous and outmoded he remains. Jonathan Chait once described him well, saying Brooks was "a journalist who tends to view policy questions through hazy philosophical prisms." Hazy indeed. Viewed through that prism, I find in his column in today's New York Times, "The Republican Glasnost," the pervasive strains of a reasoned and reasonable commentary on the stirrings of rationality in today's reinvention of the post-election Republican Party. Then, after a pause, I'm struck by the fact that it's complete hogwash. Following that, or whenever I read him or hear him on radio or TV, grows a sneaky suspicion that he knows it. And then, right on cue, I'm briefly overwhelmed by outright anger that he gets paid for this stuff, whether he himself believes it or not. Today's gist is that Marco Rubio and Paul Ryan gave speechs in which they proclaim that Republicans care for people because they're misunderstood and we like you, we really, really like you because you're poor and have brown skin and we're not such assholes as we been acting like until we got our butts kicked in the election. No, we're compassionate conservatives like George W. Bush, only not like him, like some other really nice guy who is more misunderstood. Because, you know, we get it. This David Brooks calls the Republican glasnost. Holy crap. Mr. Brooks seems to be unable to identify cynicism and expediency even when recent history provides a context that makes it obvious. That willingness to ignore the fatal contradictions of his political philosophy results in the, shall I say, entertaining and provocative value of his column. Thin soup, but tasty. 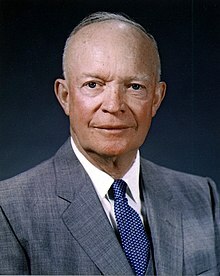 Actually what we need is to recognize that the Democratic party now represents the old Eisenhower Republican party and that we must create a new Progressive party that stands up for the restoration of our civil liberties, real opportunity for the poor and working class, the end of the influence of corporate money in politics, single payer health insurance, the end of drone warfare, and a systematic plan to reduce carbon emissions and deal with the global warming. That would be the restoration of our democracy. What's hilarious about Brooks and his philosophical approach to the smash-mouth football that is our current retail politics is that in better days he could have been the Eisenhower Republican that he secretly probably longs to be. That's why he sounds so smooth and in the end sells out by affirming positions of utter nonsense. 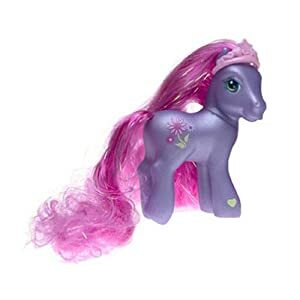 Could it be that I should let him find ponies where he wishes to find them, realizing that to be paid to represent today's conservative view he has no choice but to tack far right into la-la land? Shouldn't I forgive him for telling us for the past couple of years that Paul Ryan is a budget and policy wonk with the courage to speak truth to power even though Ryan is a demonstrable huckster with math that doesn't add up to squat? Shouldn't I let Brooks tell us Paul Ryan has now suddenly learned his lesson, even though six weeks ago at the height of the campaign Ryan raged on about the "makers and takers" in America? Creature David Brooks thought he found. The Russian word glasnost means "publicity," though it's interpreted more broadly to mean "increased openness and transparency," a trend brought on by Mikhail Gorbachev as he attempted to keep the Soviet Union from unraveling. Here, at last, we get a glint of rationality from Our Mr. Brooks: He is intent on keeping the Republican Party from unraveling and thus is ready to find ponies in the land of cave trolls. Good luck with that, David. The actual creature David Brooks found. *Sophism is defined as "a specious argument used to deceive someone." According to Wikipedia, "in ancient Greece, sophists were a category of teachers who specialized in using the tools of philosophy and rhetoric for the purpose of teaching arete—excellence, or virtue—predominantly to young statesmen and nobility." They were highly paid for their services. Remind you of anyone?